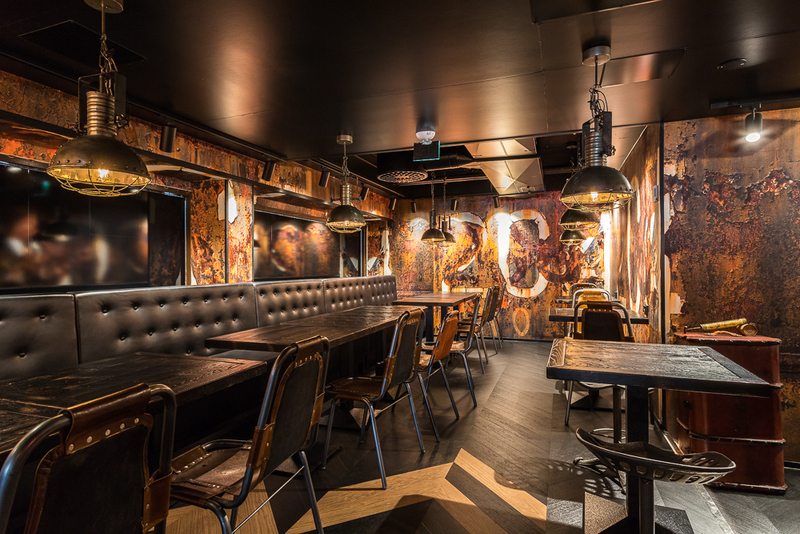 Slaughtering boredom is the slogan of the new Butcher & Banker concept. 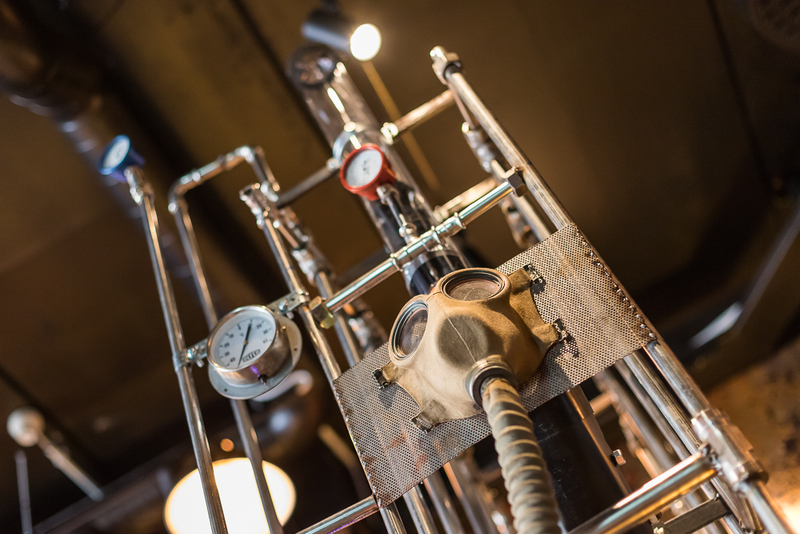 The post-apocalyptic climate after experiencing a bad moment, dull times or collapse of civilized conversation is overwhelming at times. 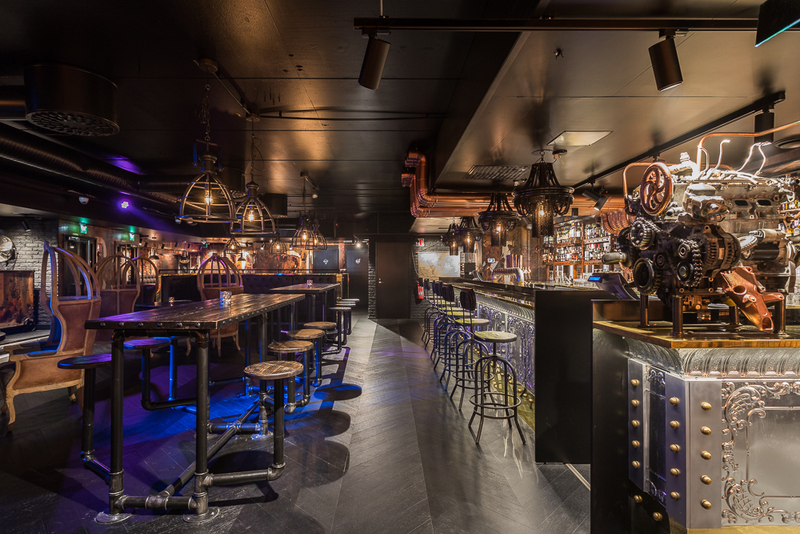 Thank God you have a place where you can turn back the Doomsday Clock and cheer up with beers, drinks and live sounds of freedom. 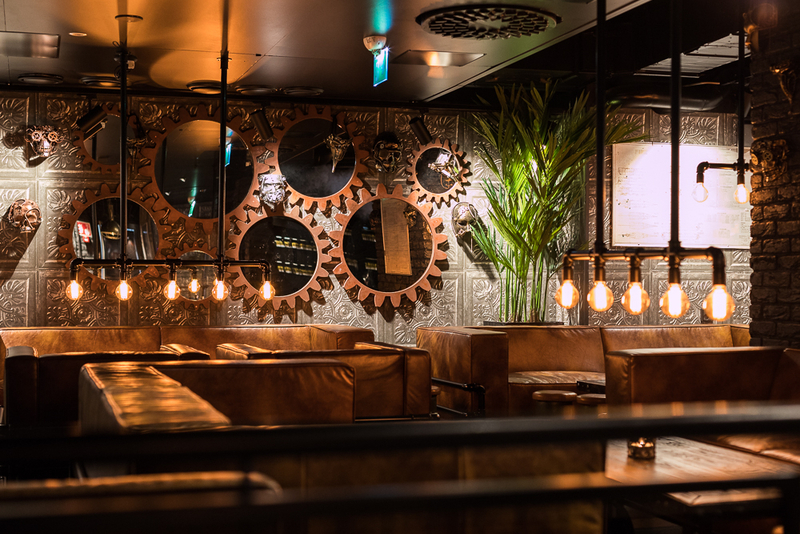 Come and enjoy yourself in Butcher & Banker, a place where good times, occasional music and refreshing company will make you revolt boredom and spread happiness like a pandemic. 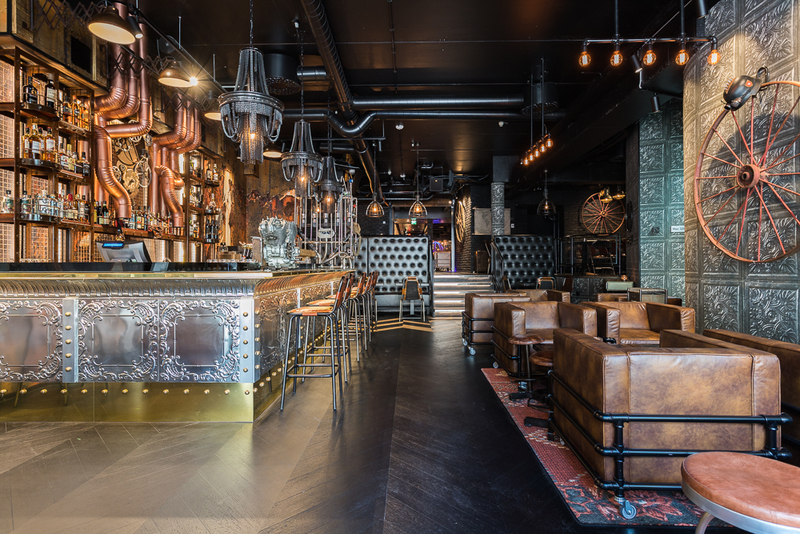 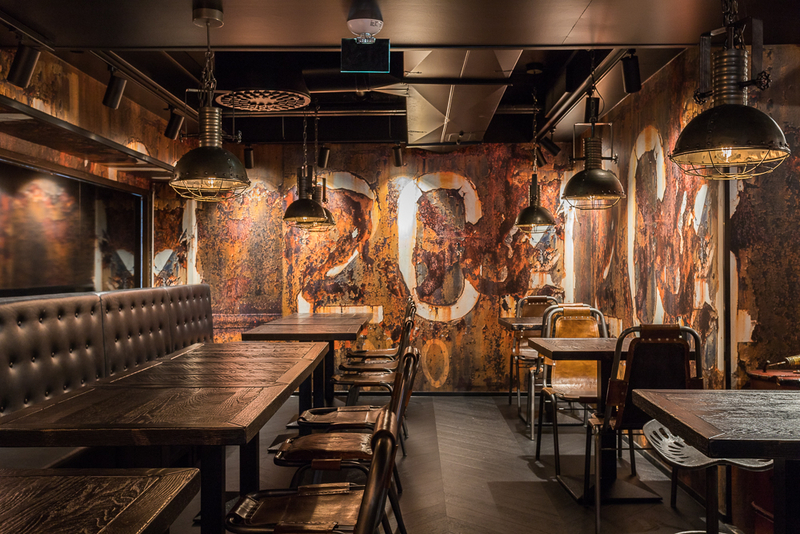 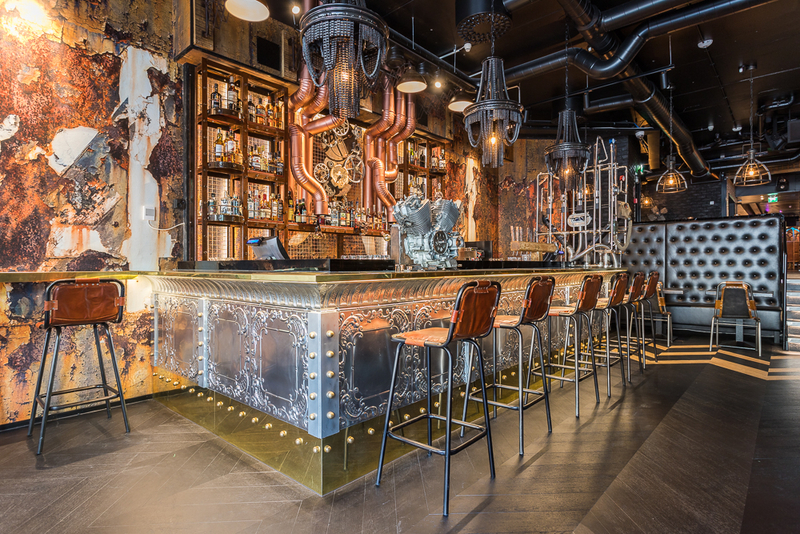 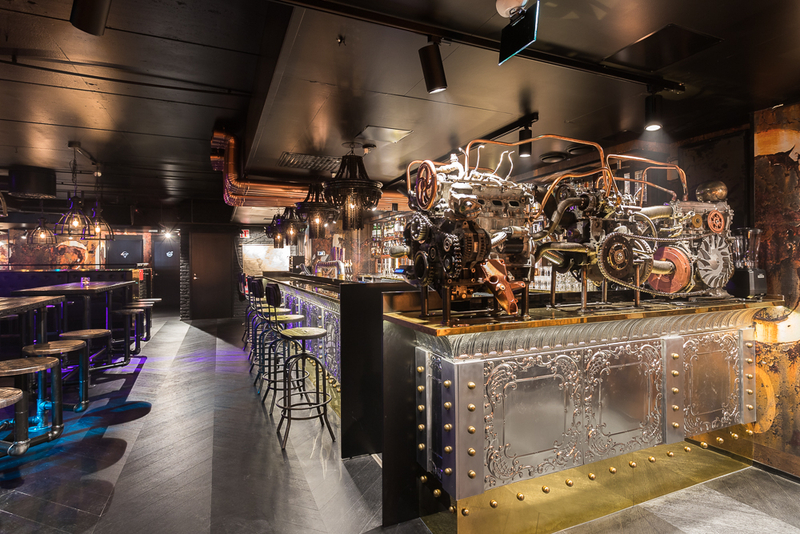 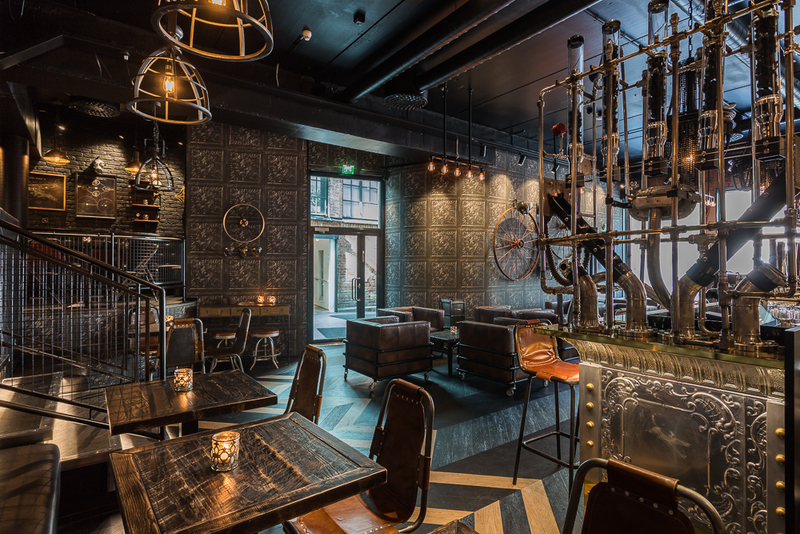 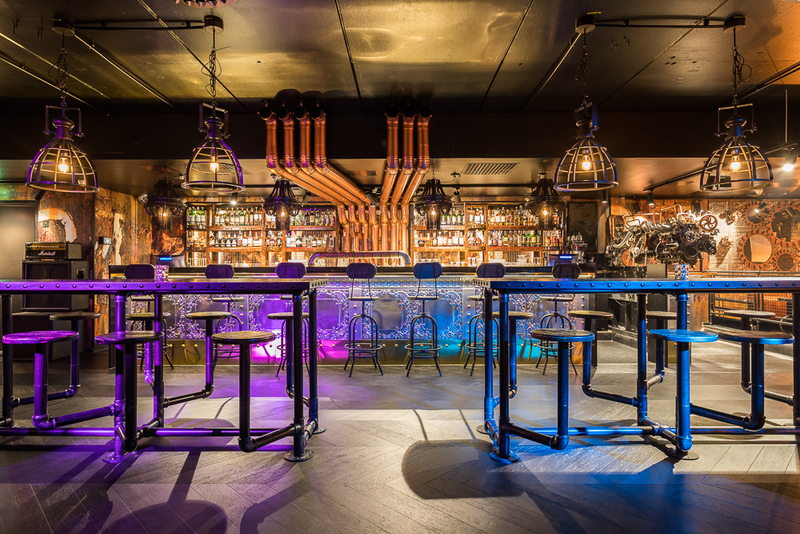 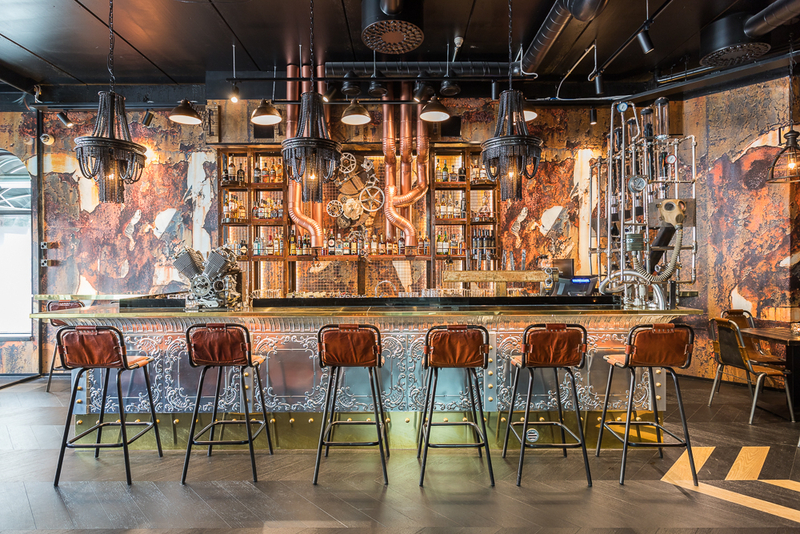 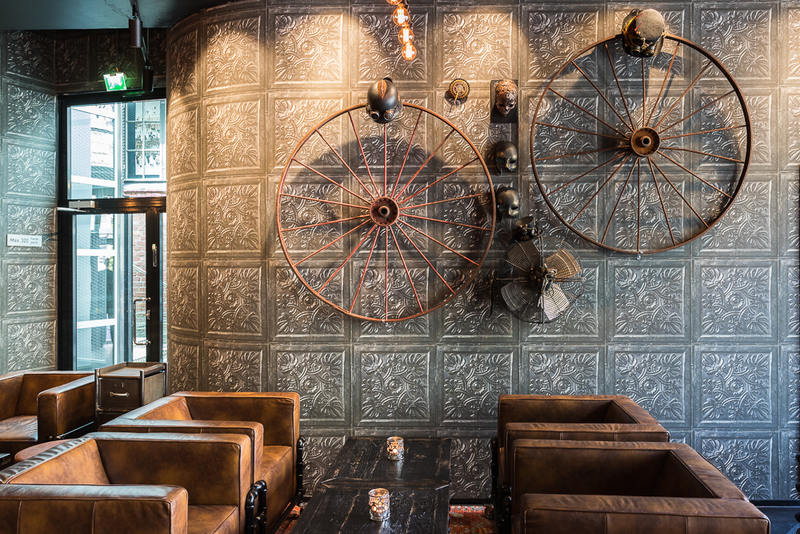 The restaurant's interior design concept draws from steampunk spirit. 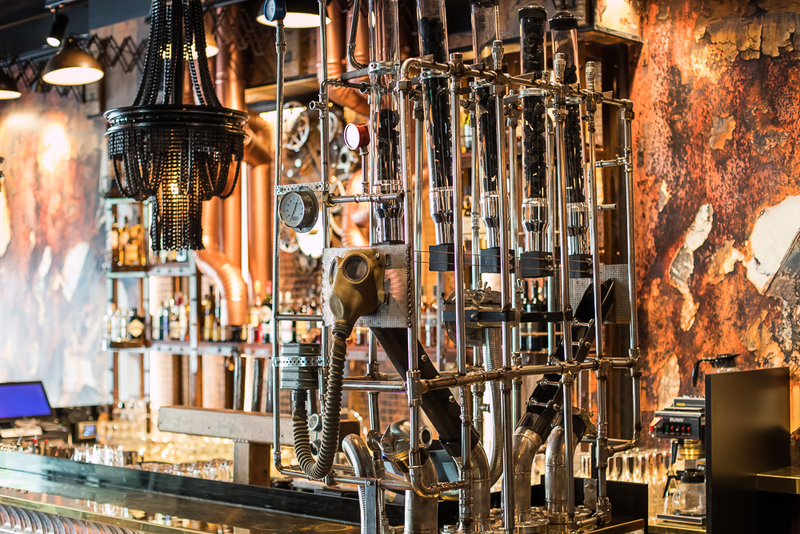 Both amazing bars are hand made and they contain a number of interesting details. 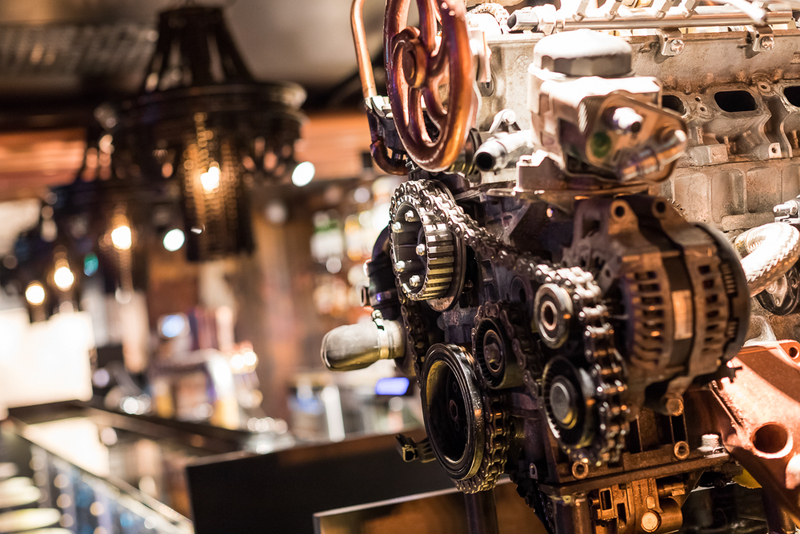 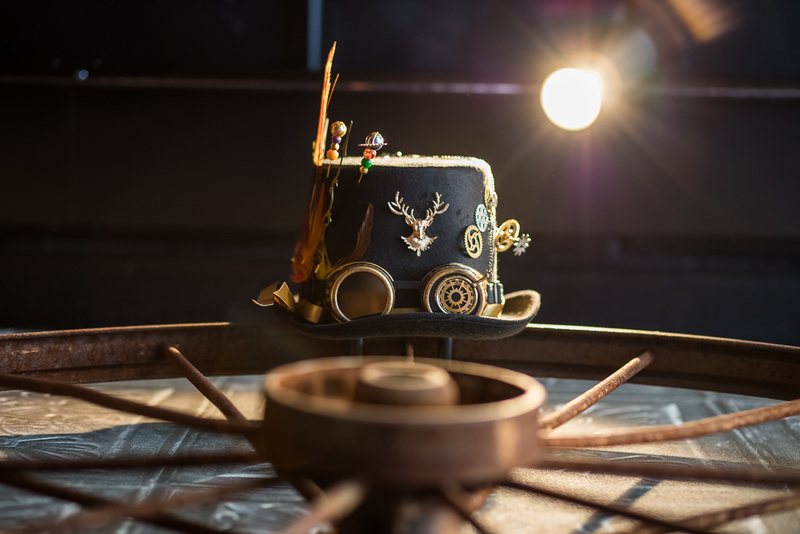 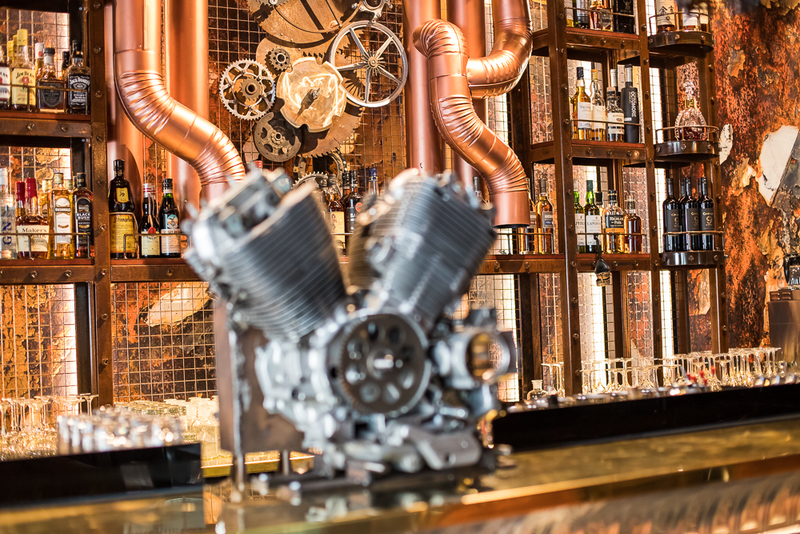 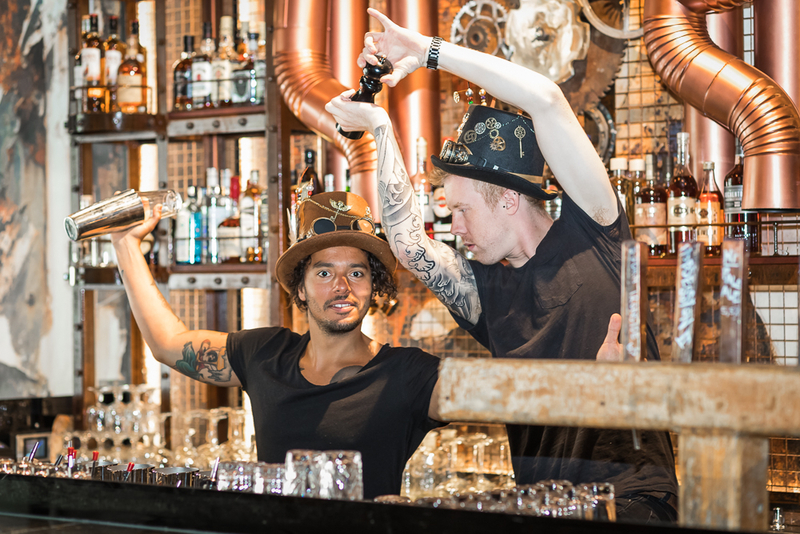 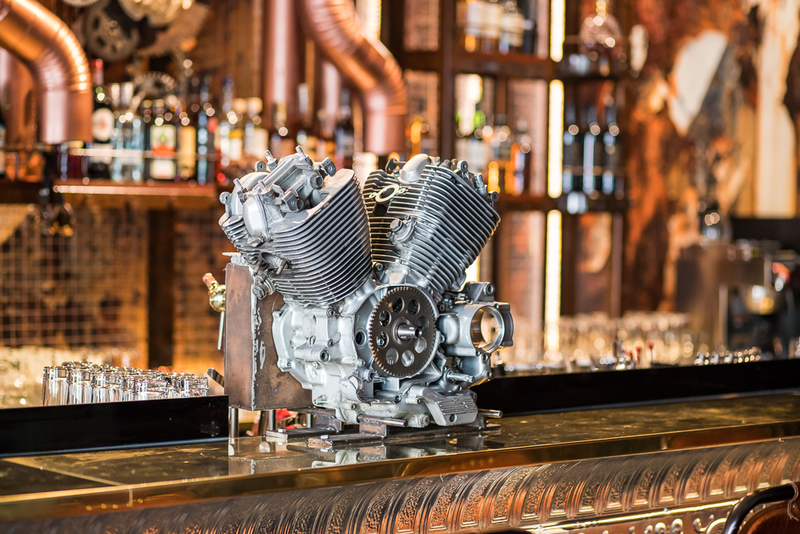 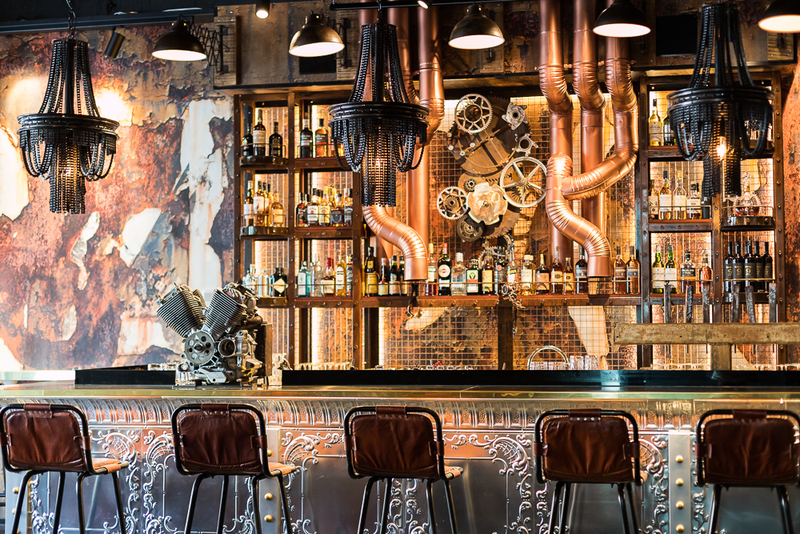 We have used copper pipes, the counters are made of brass, cogwheels at the back and steampunk themed machines just to mention few of the details. 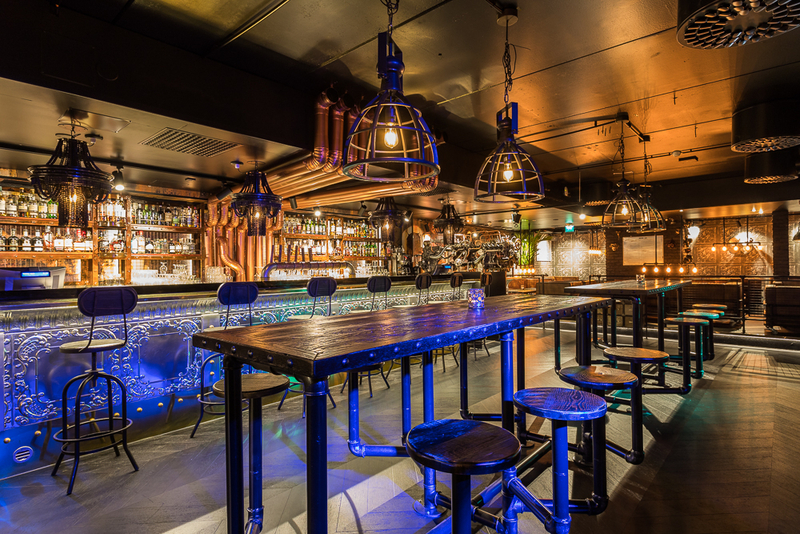 The fronts of the bar counters are made of silver plated tinplates. 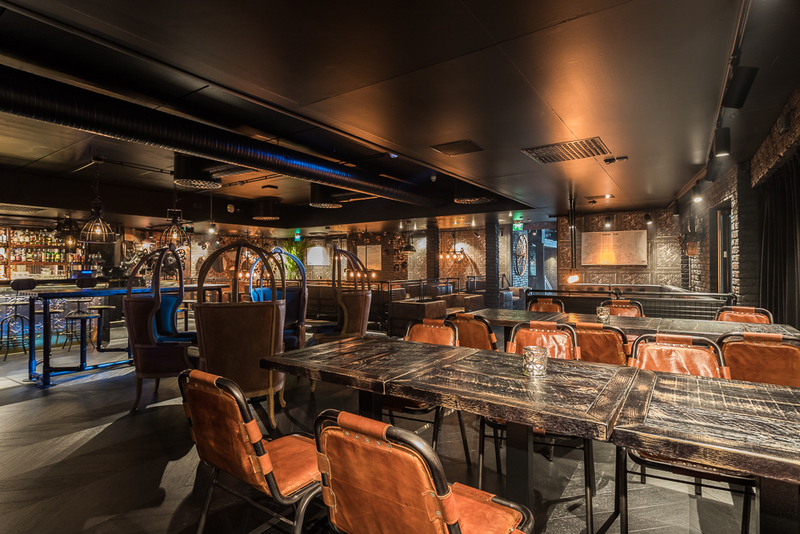 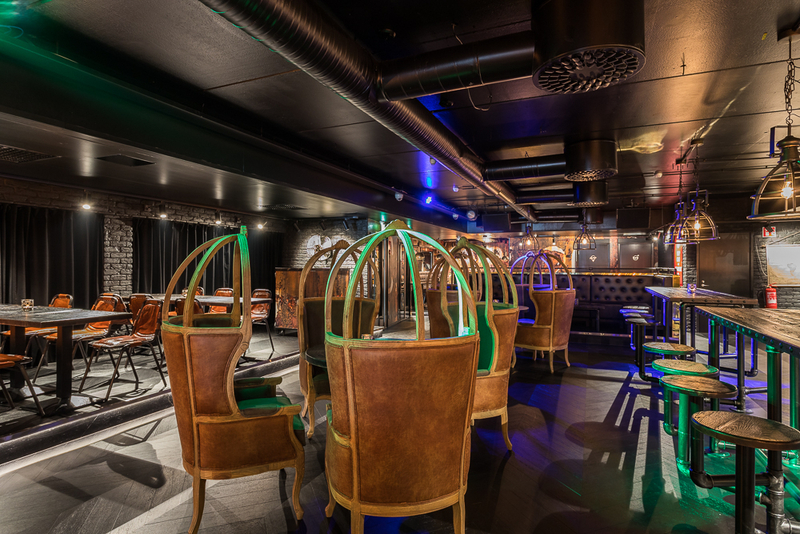 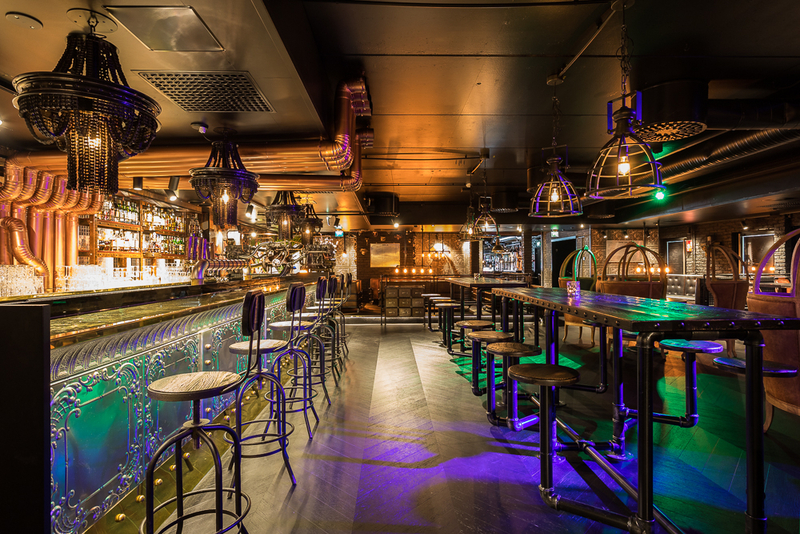 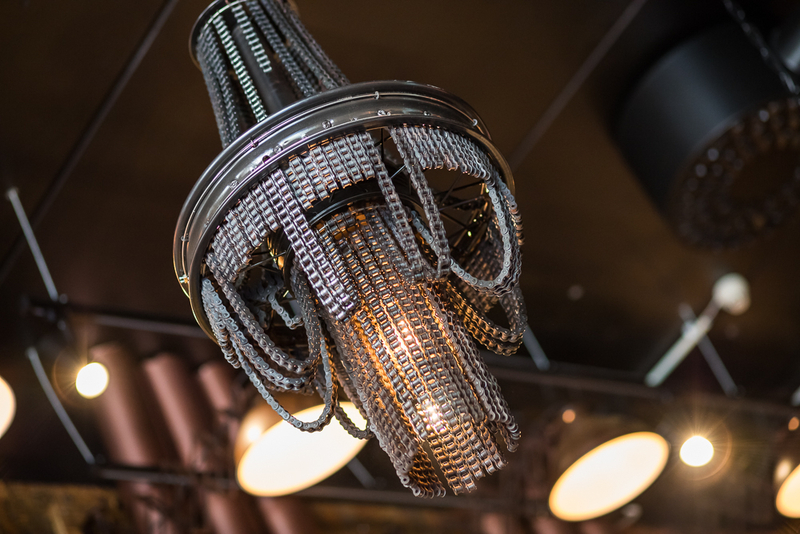 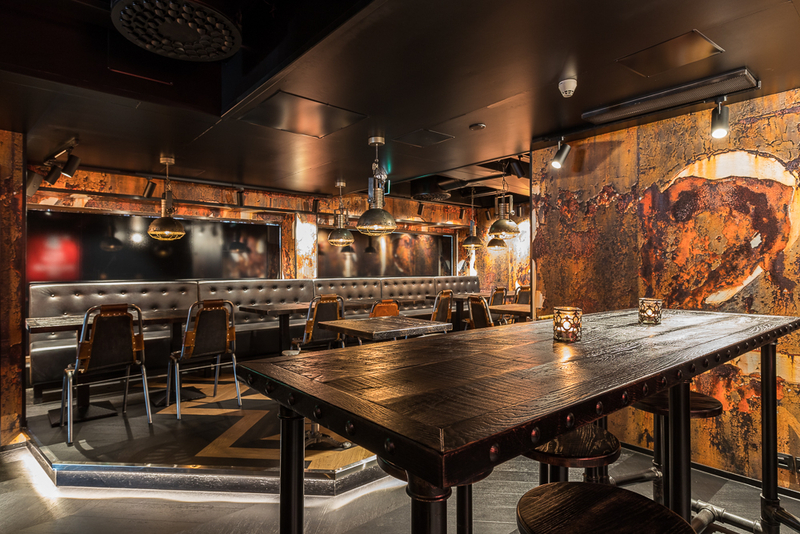 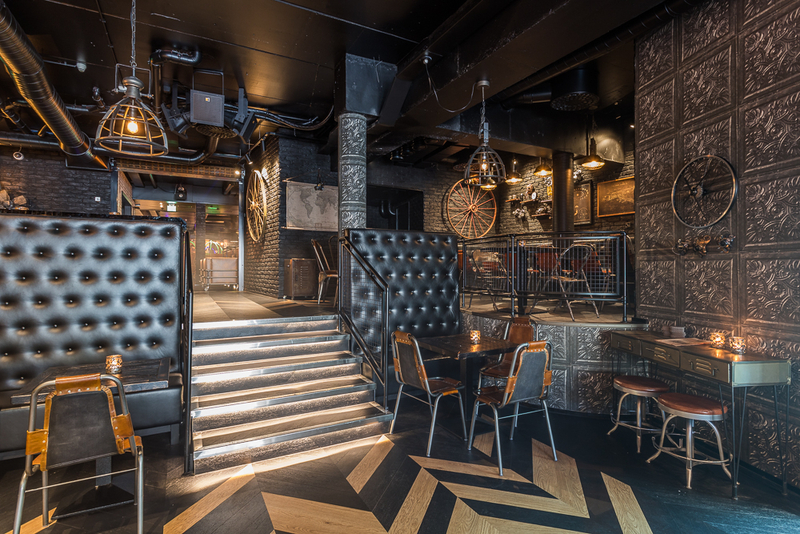 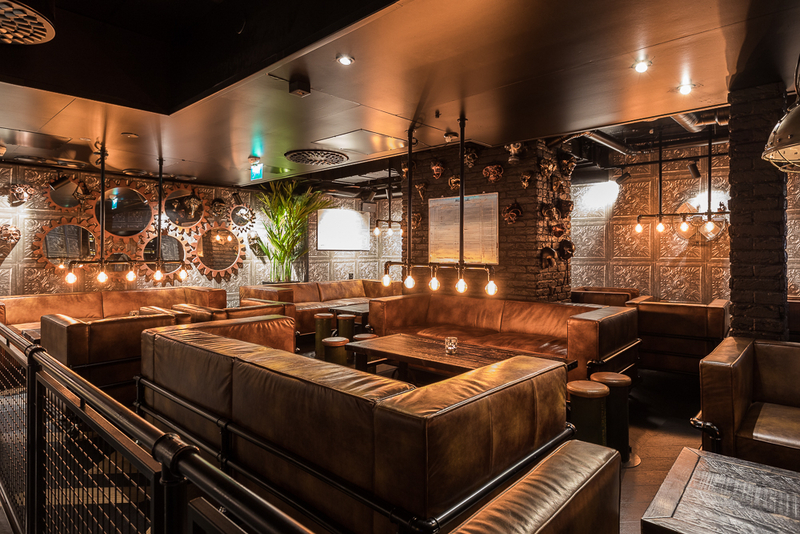 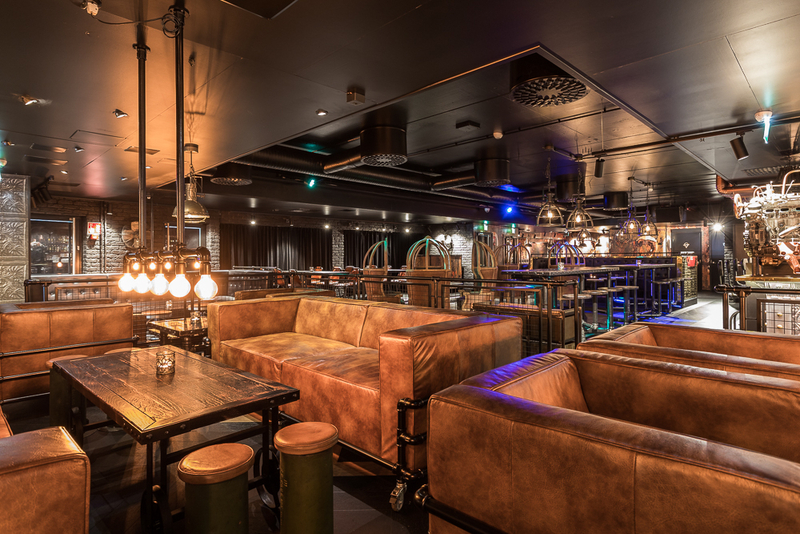 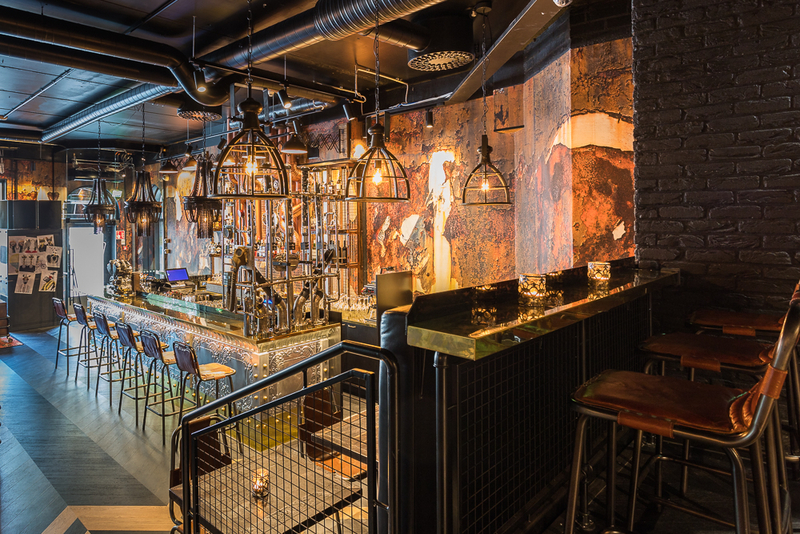 The pendant lights hanging above the bar are made of motorcycle chains. 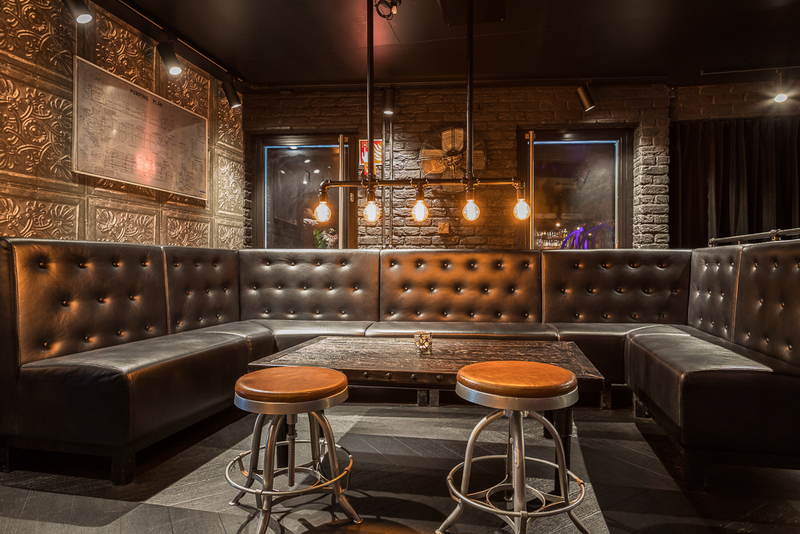 All the furniture are specially designed and custom-made. 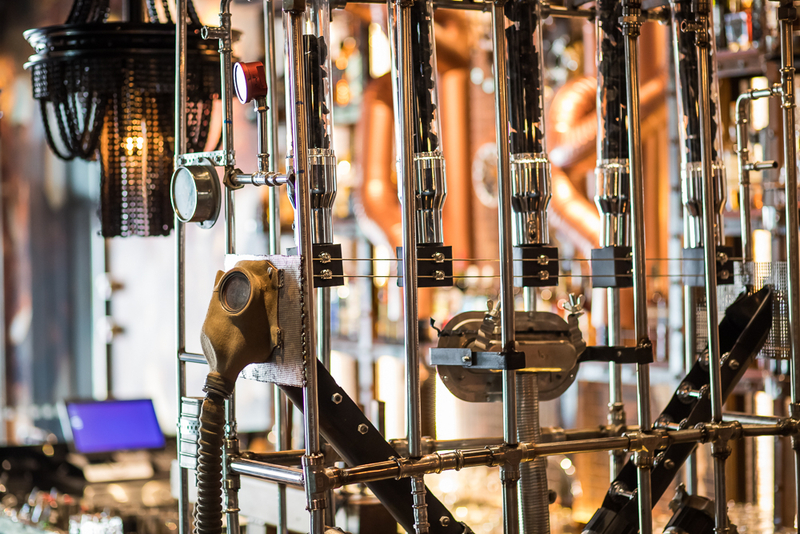 The walls around the restaurant are covered with dozens of steampunk themed props such as steampunk masks, top hats, posters, gas masks just to name a few. 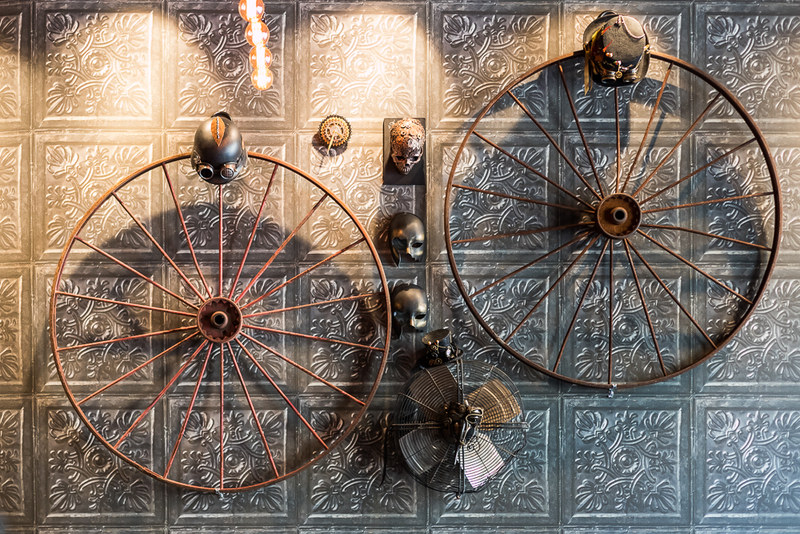 You have see it and experience it at the spot. 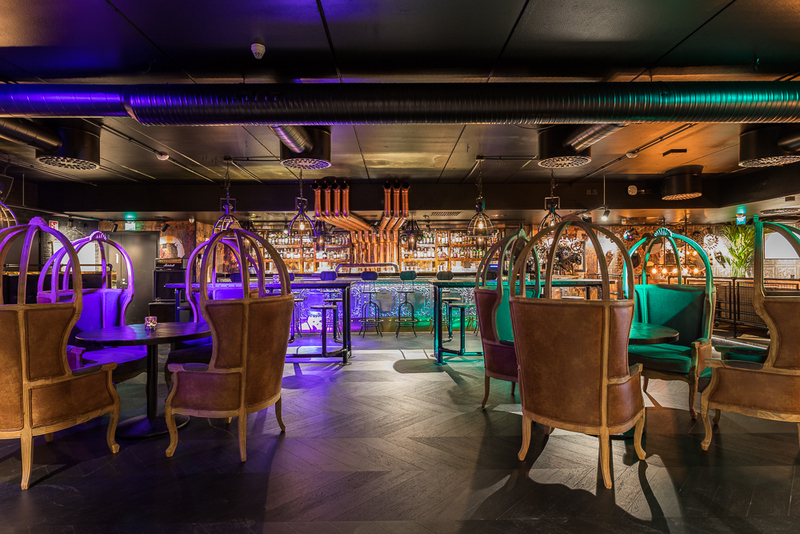 Tikkari-Talo “the Lollipop House” in English in Vaasanpuistikko has had many different functions including various different restaurant concepts. 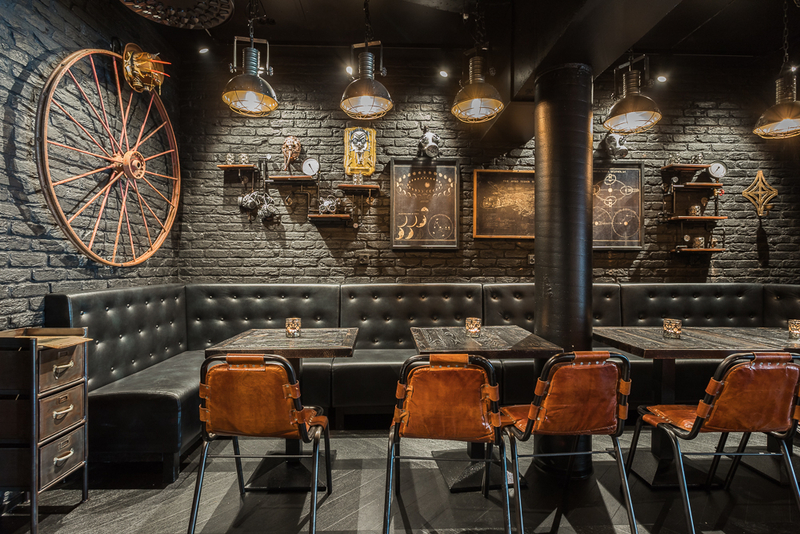 Now the new era reinvented Amarillo and the completely new concept “Butcher & Banker” have brought Tikkari-talo to life like never before. 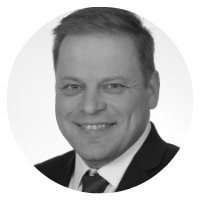 The joint project of KPO, VPDHelsinki and SOK cooperative was truly intriguing one and the common intent and determination led to an amazing end result. 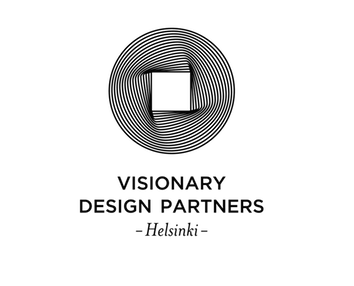 It was truly a real pleasure to work with VPDHelsinki on a project, where a unique vision was actually realized.